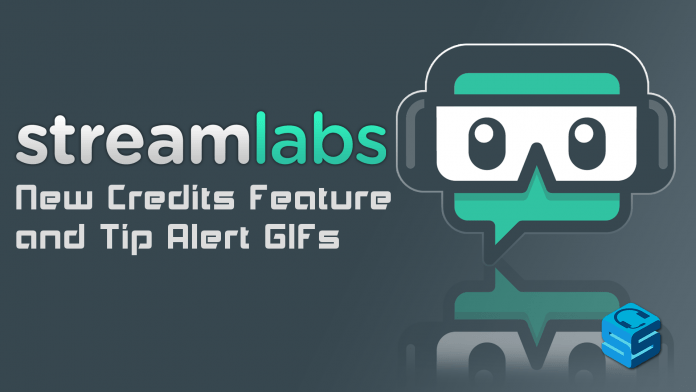 Streamlabs is bringing even more features to their platform with Credits, Donation GIFs, and an update to the Jar! It’s the end of the stream. You’ve had awesome subs, followers, cheerers, and tippers throughout. Imagine being able to list their names like credits in a movie while epic music plays. Streamlabs has made that a reality and to finish off your livestreams you can now have all of your supporters scrolling across the stream proudly! The widget comes with some default themes to get you started but the beauty is that it comes with full HTML/CSS support so you can design it to how you like it. Credits are now available on all platforms: Twitch, YouTube, Mixer, and Facebook. Viewers subscribed to your channel or with a Streamlabs PRO subscription ($5.99/Month) can have even more of an impact on your stream by inserting GIFs into their tips! Gyfcat GIFs: This is a collection of GIFs by Gyfcat who are partnered with Streamlabs. They match the donation message and are manually screened beforehand to make sure the content is safe to stream. You need a Streamlabs PRO subscription to use these. Out of a choice of 5, there will be one GIF of the day for free but the other 4 will require a PRO subscription. GIF Library: These are your own GIFs that you can upload to Streamlabs account. You can upload up to 5 GIFs currently. For your Twitch subscribers, they can use these GIFs for free. Otherwise, the tipper will need a PRO subscription if not subscribed to your Twitch channel. YouTube sponsors and Mixer subscribers will need a PRO subscription as well, with access being made free in the future. Before uploading to your GIF library make sure to check your platform’s content terms and conditions. 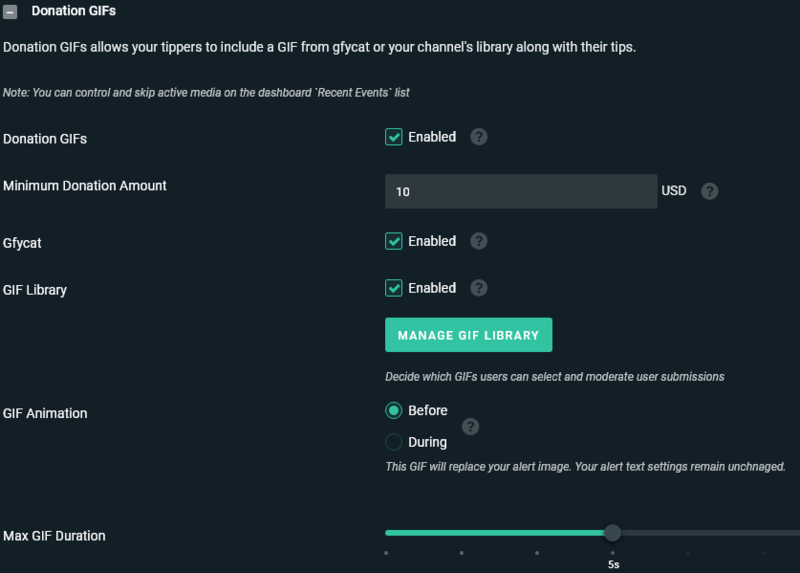 While the Gyfcat GIFs are manually checked beforehand, it’s up to you to manage your GIF library and make sure all GIFs are appropriate to stream. To set up tip GIFs, head over to your Alert Box -> Donation Settings -> Scroll down and you will see a Donation GIFs subsection. Here you can customize the minimum tip amount to use a GIF, the maximum animation length, and more. Stream on YouTube or Mixer? You can now utilize the awesome Alert Jar! For a full rundown of the updates, check out their blog posts here and here!